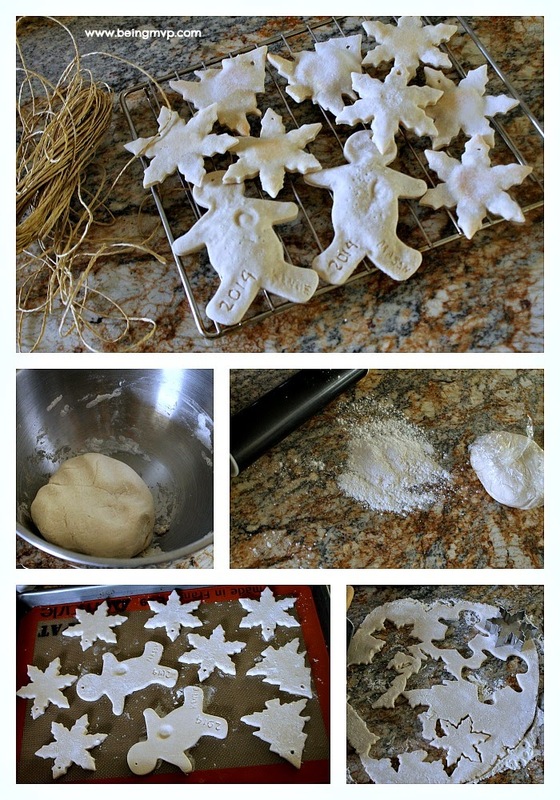 I remember making salt dough ornaments when I was a child and they were so much fun and something that I did year after year. Since I wanted to start such a tradition with my kids, I ordered a variety of cookie cutters and started making the dough! 1. Preheat oven to 300 degrees and line a few baking sheets with parchment paper. I like to use the Silpat. 2. Combine flour and salt and mix well. 3. Add food coloring to the water if you want colored ornaments. Add in water slowly until dough comes together into a ball and consistency is like cookie dough. 4. Wrap in plastic wrap and refrigerate for about 15 minutes. 5. On a well floured surface, roll dough out to 1/4" thick. 6. Cut out shapes with cookie cutters. You can make an impression with your child's fingers and even put in dates, etc. 7. 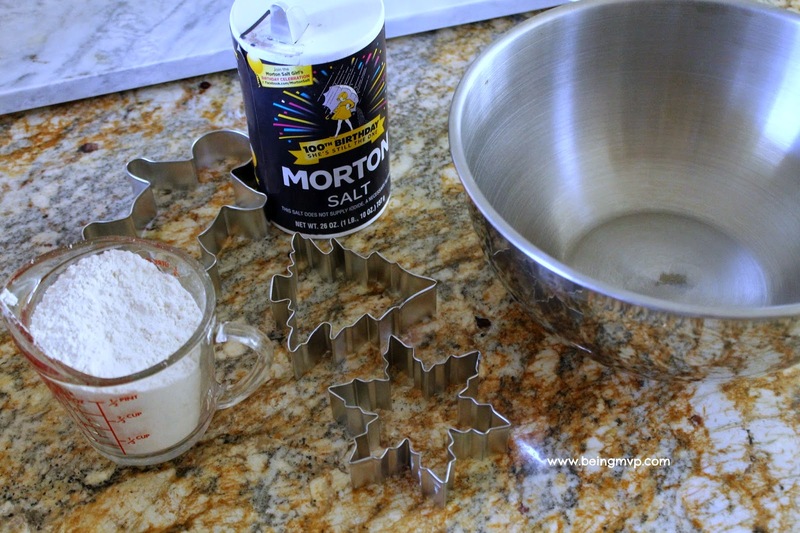 Transfer shapes to prepared cookie sheets and poke a small hole in each using a toothpick. Make hole large enough for ribbon/string to go through. 8. Bake for 40 minutes. They should only harden but not brown. 9. Pull twine through holes and knot. 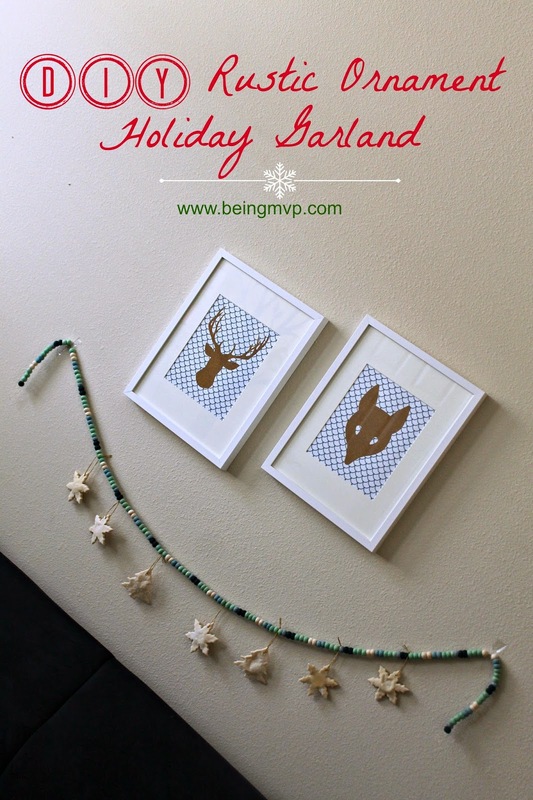 Evenly space on garland and hang to enjoy! 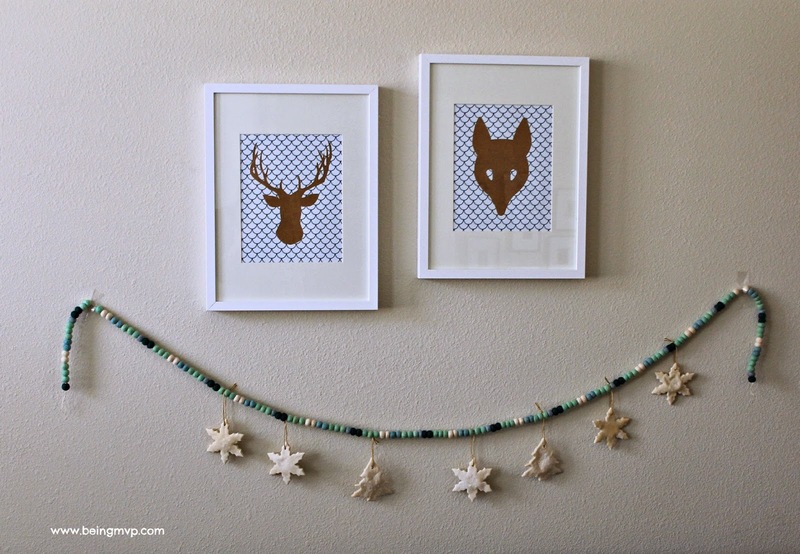 You can make your own pom pom garland but I just bought mine from minted. These would make lovely gifts and they are so simple to make! Check out the Paper Plate Christmas Trees from MomSpotted this week. 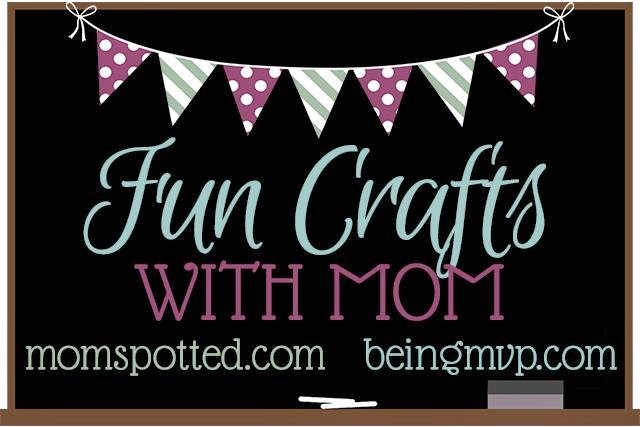 I hope you enjoy and link up if you have a neat craft you want to share! I remember making these a time or two when I was a kid. My grandson would have fun making these. That looks great! What a pretty decoration! I love this craft and what a fun keepsake! Thank you for sharing with us and Happy Holidays. This is so cute and can be used so many ways decorating for Christmas. This is such a pretty Holiday Ornament Garland that I want to make for next year. Your Garland sure turned out pretty! I love to craft in the summer when I can do it outside in the garage. It's the time of year that I really enjoy doing holiday crafts. It's never too early and I love this craft! Omgosh this is gorgeous!! Love that its made with love and just looks beautiful! !